MOSCOW (AP) — Russian emergency officials say that at least five people have died in a bus collision in southwestern Russia. The Emergencies Ministry said that about 20 others were injured in Tuesday’s crash in the Voronezh region near Novaya Usman, about 450 kilometers (280 miles) south of Moscow. 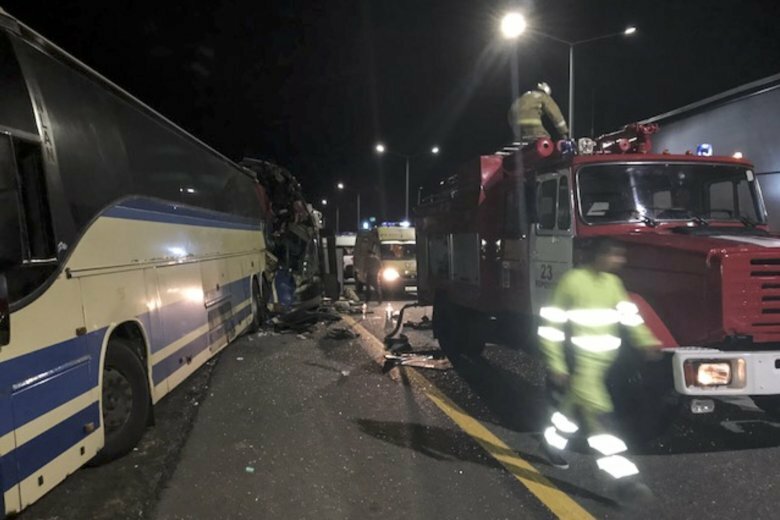 Russian news reports cited road police as saying that the collision occurred when one bus stopped because of a technical problem and another one hit it from behind.